Unlimited Possibilities! 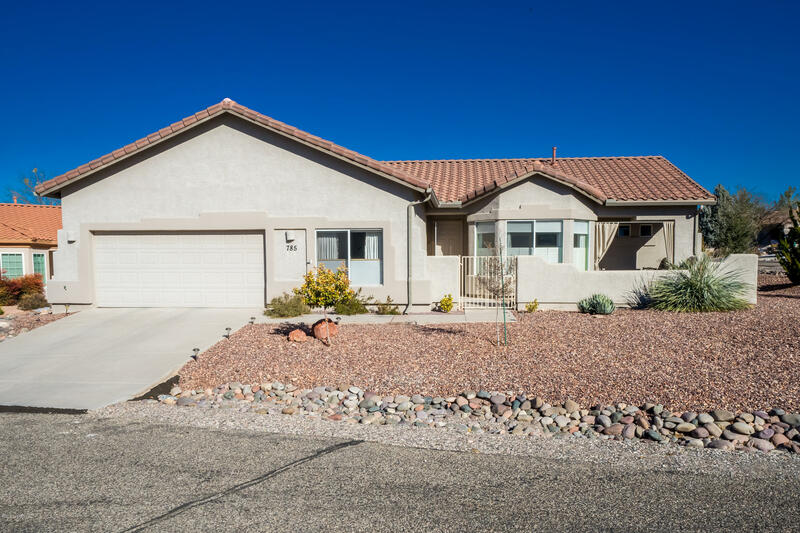 Located in a 55+ neighborhood at Verde Santa Fe on a gorgeous corner lot. Private gated courtyard entrance. Flexible living spaces includes 2 Bedroom plus third bedroom option or bonus room for den/library/art studio. Open kitchen features custom backsplash, newer cabinets, counter tops and pantry. Open great room with adjacent dinning space and access to the covered back patio. Wonderful master suite includes bay window, beautifully remodeled bathroom & walk in closet. Second bedroom could be used for art studio or craft room. Office/Den could be converted to a third bedroom if needed. Beautiful low maintenance landscaping front & back with covered back patio and front porch area. Clubhouse is included and offers gathering rooms, pool, spa and workout facility.